Road Simulation makes it possible to reproduce actual measured time historyvibration data in the laboratory on a shaker system. Extensive time history editing features enable large sets for field data to be easily reduced to the desired test time history. 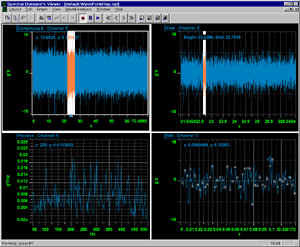 Spectral Dynamics convolution filter technique corrects for shaker system response and accurately replicates time histories.